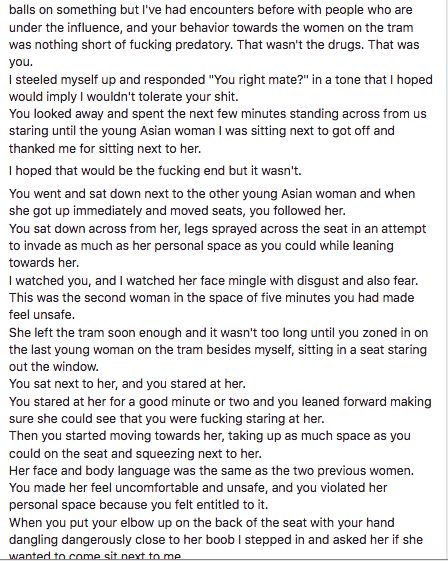 The man’s face blew up across social media when a self-righteous woman took a photo of him and wrote a status marking him as a ‘low life’, ‘creep’ and ‘loser’ on Facebook. 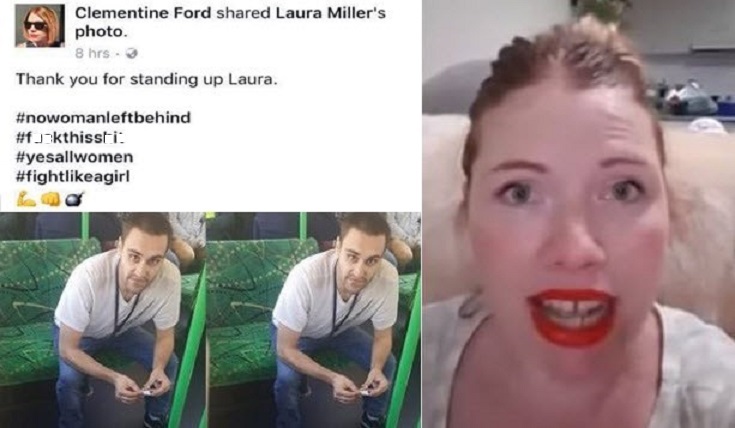 Her profanity-laden post drew in 80,000 likes and close to 10,000 shares in a matter of hours, with many people leaving bellicose messages threatening violence and revenge on the alleged harasser for his ‘dominating’ behavior. But multiple sources have since came out and said that the man is a daily commuter along the city tram line who is reportedly autistic and ‘wouldn’t hurt a fly’. This is a situation where conclusions were drawn, though it’s not difficult to see how. The man has a disability and it must not have been apparent to this feminist. Whether that makes a difference to her, who knows. What really blew this way out of proportion is the absolute NEED this woman felt to run to her social media page and cry ‘whoa is me!’ to the world. Do people like her get some type of vindication from it? Is it a validation thing? I don’t know, but the scum of social media around the world came out from under their rocks and crucified anyone and anything they could. Social media is a disgusting place to live your life.